Now that we know that Facebook has over 800 million users, music on Facebook is a serious business. Streaming music has never been embraced by record labels, but even they can’t ignore these numbers. Spotify CEO Daniel EK hit the stage at Facebook’s F8 event today and told us that Spotify users who use Facebook listen to more music than anyone else on their platform. Not only that, they are the most engaged, and are more than twice as likely to pay for music. Spotify is showing that people will pay for music in ways other than track by track in iTunes. The company has had deep Facebook integration for some time now, being the first share option in the desktop and mobile app of Spotify. Of course, former Facebook President Sean Parker is an executive and advisor at Spotify, which is important to note. You’ll now start seeing new music posts and play buttons all over your newsfeeds. Hit a play button and the music starts. Right there. Spotify fires up to give you a new soundtrack to your social life. Check out your new Music Dashboard and your real-time ticker to discover the music that’s trending with your friends. This integration with Facebook will help everyone to discover more free music than ever before. Thanks to our unrivalled, truly free service, users can just hit play to enjoy the music, no hassle, no gimmicks; month after month after month. We hope many more people can enjoy the musical journeys that this integration will bring. Like the thrill of looking through a friend’s music collection and finding a track that blows your mind. Or sending birthday playlists across the planet. We know that Spotify’s users who connect to Facebook listen to more music on a weekly basis. 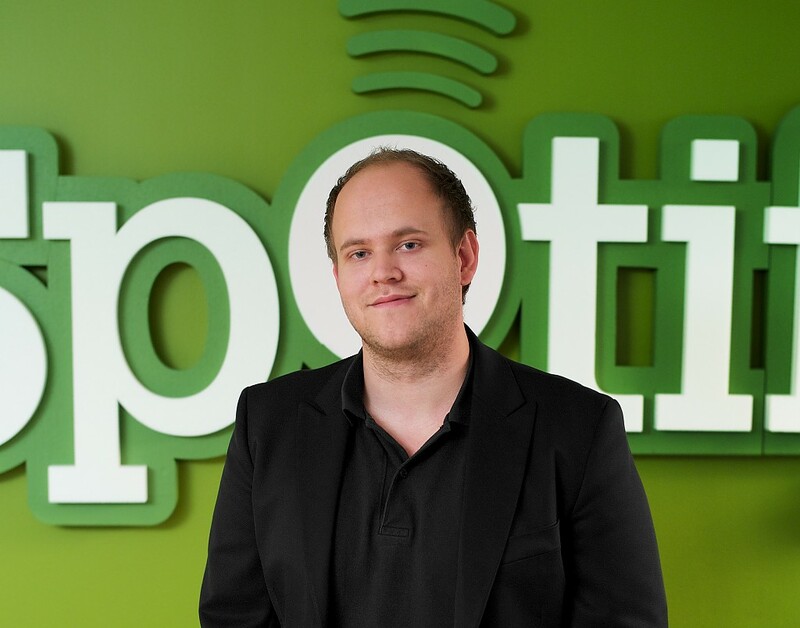 They listen to a wider variety of music – in fact we have more than 400 million playlists created in Spotify now. Because these users are more social, they’re more engaged. Because they’re more engaged, they’re more than twice as likely to pay for music. Social discovery on Facebook means that we’re bringing people back to paying for music again. And that‘s how the brilliant artists who create this music can continue creating it for us to enjoy.